One of my kiddo's teachers loves penguins. I mean LOVES penguins. 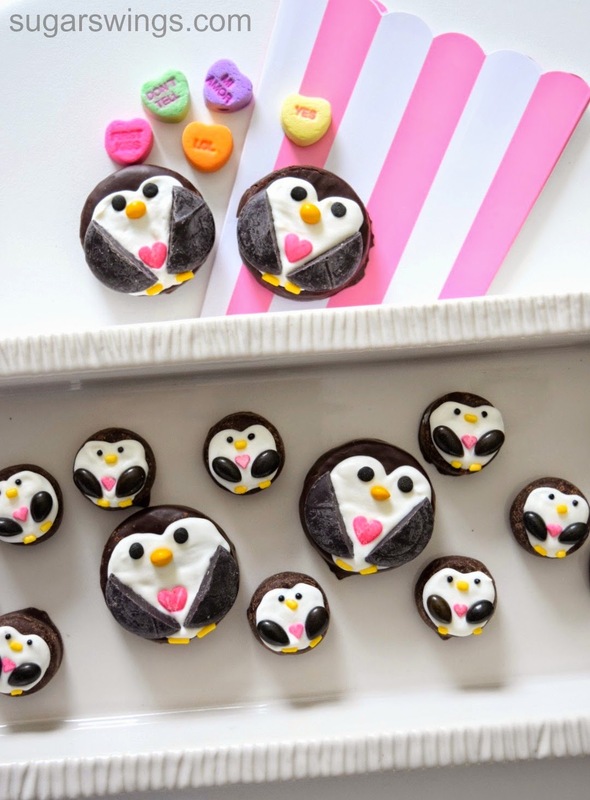 He's had so many penguin themed homework and projects that I couldn't not make her some penguin themed Valentines Day goodies this year. And I kinda have a thing for making cute animals from candy - and specifically York Peppermint Patties. 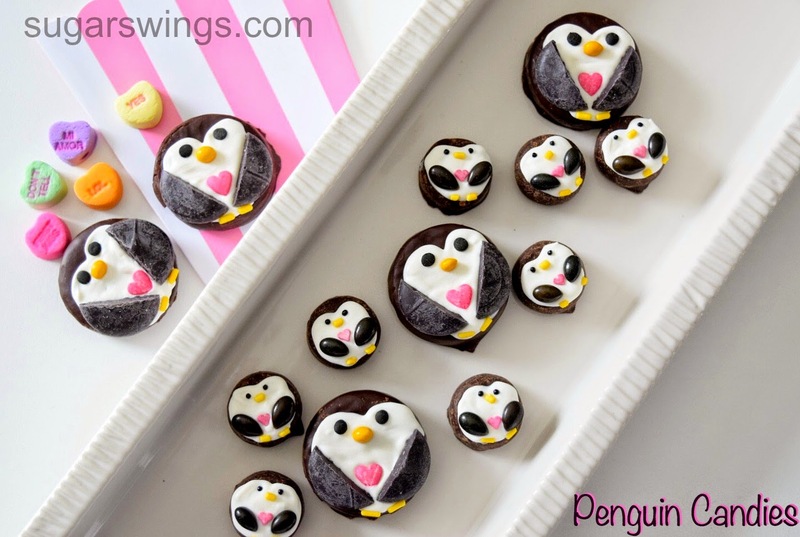 Making them into penguins was really simple too you just need the peppermint patties, some candy melt or melting chips, and assorted candies/sprinkles to add detail. 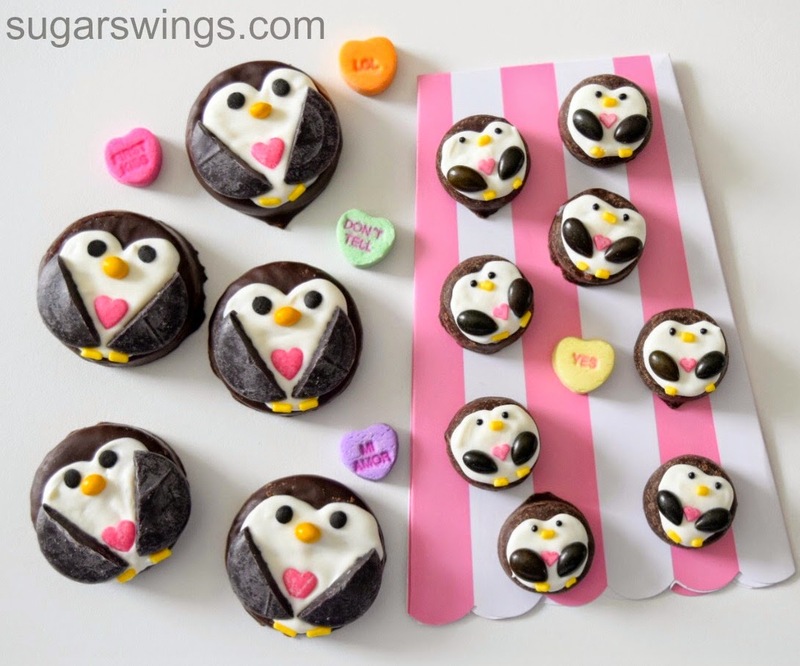 You can make 2 different sizes to make small and mini penguins since the patties come in miniature and mini sizes. I didn't realize miniature and mini meant small and even smaller, but whatever, it works! Attach other ingredients with some melted white chocolate chips or vanilla candy melt. To make them for Valentines Day I added little heart sprinkles that their little wings hardly are holding. I think the tiny ones are my favs. You can make some penguins standing up too! 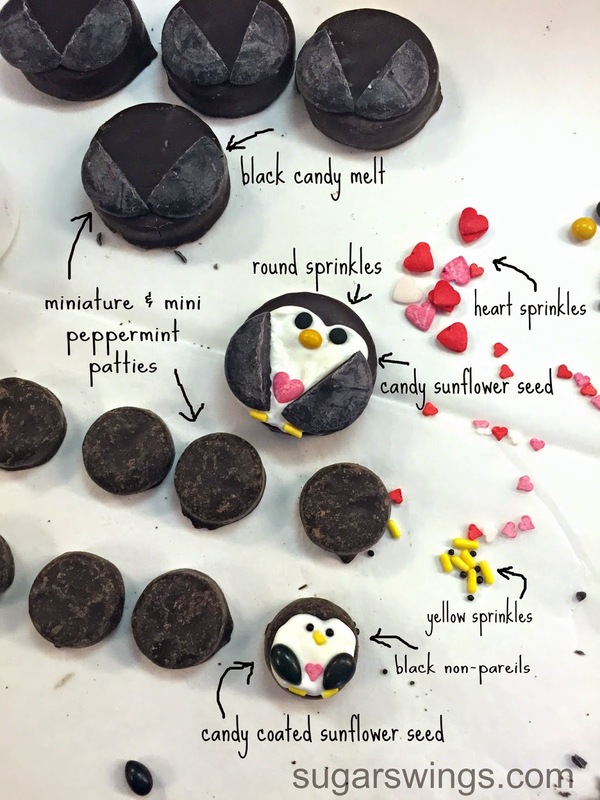 The base is one of the peppermint patty minis and the penguin body is a mini chocolate Easter egg. Candy melt is used to attach the body to the base (to look like snow) and more candy to attach the black round sprinkle eyes, and sunflower seeds (yellow beak, black wings, and orange feet). These guys are holding a Valentines Day conversation heart. Why? 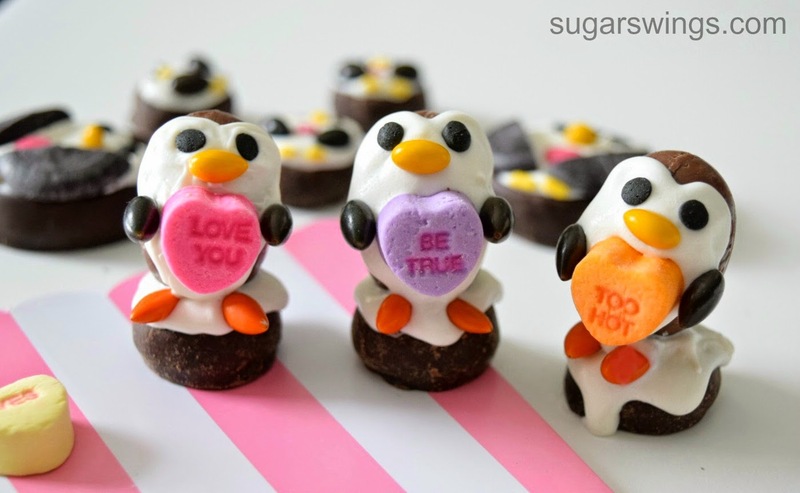 Well penguins can't talk - so they need a way to ask you to be their Valentine, right? OK, now which do you like better? The miniature penguins, the tiny mini penguins or the standing up penguins? 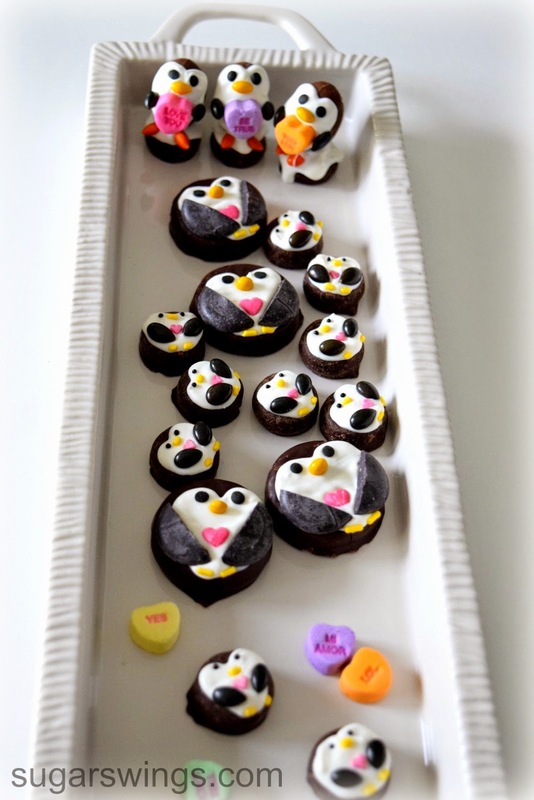 That's a lot of penguins so his teacher better love this all penguin themed Valentines Day goodies! Happy February everyone! Looks like there is snow in the forecast again for us in NJ. Let's hope the weather peeps get this one right since last week was pretty much a bust for NY/NJ. Seems like MA got all the snow which I think they are still digging out from! Have an AWESOME week! Follow pictures above and using melted vanilla candy melt/chips "pipe" on white area of penguin. All of your Peppermint Patty treats are adorably cute. 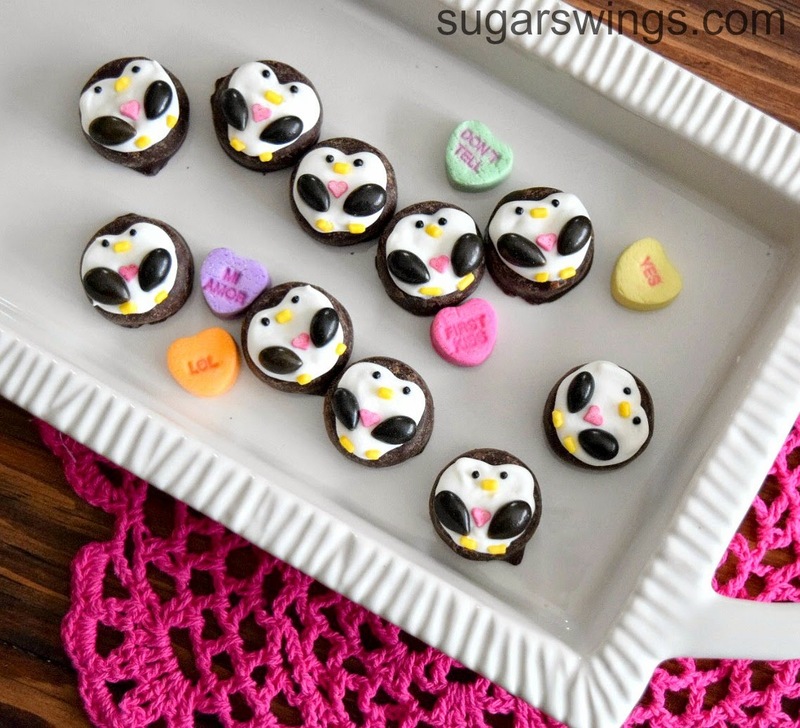 I love the penguins holding the conversation hearts too! I'm sure your son's teacher thought they were amazing. Thanks Lisa, I like the way you think! Hi Denise, thank you! 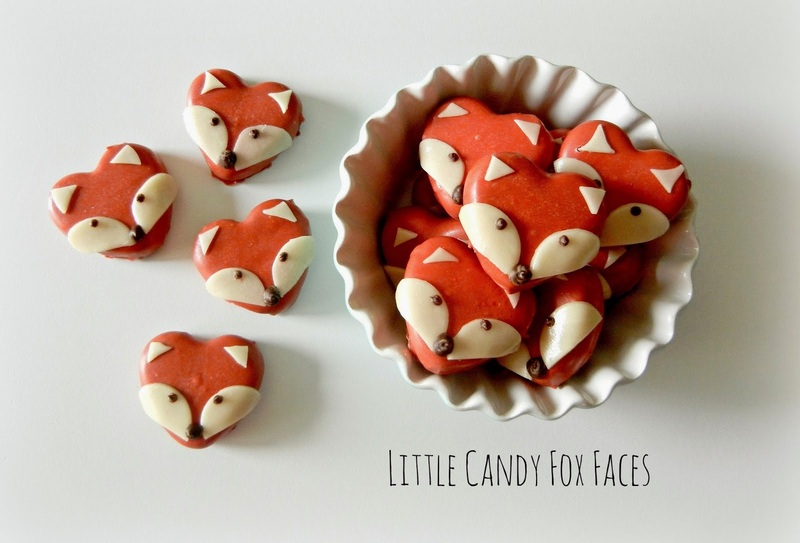 They really are so simple to do, all with premade candies and a little candy melt/wafers! All your penguin variations are so cute, especially the tiny guys. I just love the foxes too! So creative! Cutest ever! Pinned and tweeted!